Who says there's no God? The wonders and marvels of creation reveal a higher intelligence, a creator, a God who creates and sustains. 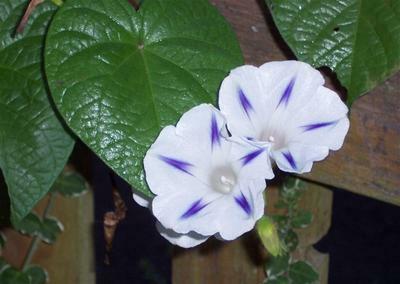 We serve the living and true God who has made everything beautiful (including these morning glories) in His time. Worship Him today! Give Him the praise He so rightly deserves. Thanks to Stephen and Brooksyne Weber for this excellent photo.